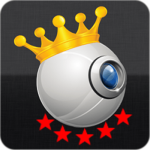 WebcamMax Free Download Latest Version for Windows. 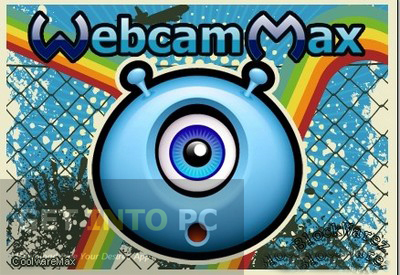 it is full offline installer standalone setup of WebcamMax for Windows 32 bit 64 bit PC. 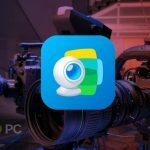 WebcamMax is an application which will enable you to edit the setting of your webcam and enhance the live streaming with some stunning effects, backgrounds and animations. You can add faces onto your own face and you can record the video as well. The installation process of WebcamMax is very simple and quick but during installation you have to pay attention to the fact that it is an ad supported program and will install some third party components which has nothing to do with the full functionality of WebcamMax. So during installation it is recommended to leave these third party components and don’t install them with your primary product. It has a very user friendly interface and once the installation is completed and you start the program for the very first time you can set WebcamMax as the default cam for some of the well known applications like Skype,You can also Download Youcam which is great CAM effect software. Yahoo Messenger and YouTube etc. 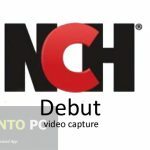 There are thousands of effects included in this application which will enhance your live streaming and will will inspire your colleagues on the other side of the cam. There are lots of filters and frames and faces that can be applied to your live feed. You can also record the memorable conversations with your loved ones and can also take the snapshot from the videos. 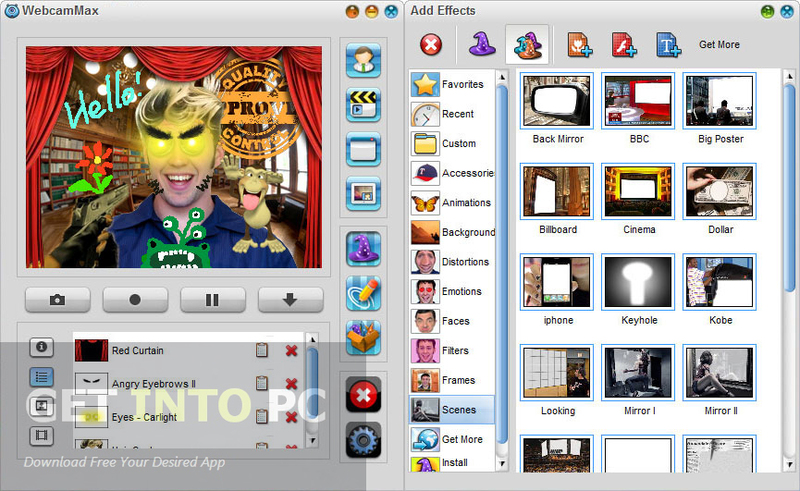 ManyCam Pro is also a similar webcam software for Windows. Below are some noticeable features which you’ll experience after WebcamMax free download. Can change the setting of your webcam. Can take the snapshot of your conversation. Can record the video of your conversation. Lots of filters and frames included. Before you start WebcamMax free download, make sure your PC meets minimum system requirements. Click on below button to start WebcamMax Free Download. 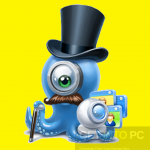 This is complete offline installer and standalone setup for WebcamMax. This would be compatible with both 32 bit and 64 bit windows.